As rain beat against the windows of the Airways Transit Center last Thursday, Memphis Area Transit Authority (MATA) officials provided details and received feedback on a series of service adjustments that could begin by December. The changes, affecting fixed-route bus service, will include eight new bus routes, 11 routes with timing adjustments, 10 routes with increased frequencies and span of service, 14 routes with routing adjustments, and one discontinued route that will have service replaced by others. The adjustments represent about $500,000 in added service grants from the Congestion Mitigation and Air Quality Improvement Program. 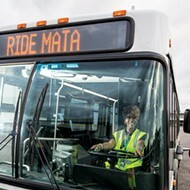 MATA officials say the proposed changes will improve service by simplifying routing and increasing productivity, but riders who attended the meeting expressed exhaustion and confusion over the adjustments. That puzzlement appeared at times to be a miscommunication between officials and bus riders. At other points, though, the frazzle felt as though it was brought on by how complicated the city's bus system can be — even without the changes. "All these changes being made might be great for someone, but I don't know who is benefiting," said Leonard Ewing, a member of the Memphis Bus Riders Union (MBRU). Ewing was concerned that a change to the 57 Park route eliminating service to a portion of Lamar at Bellevue would affect him. "It might be rain-storming like it is today, and I'll have to jump off this bus and take another bus and then hop on another bus — rain, shine, sleet, or snow — if I want to get to work." 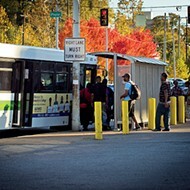 MATA's Planning Manager John Lancaster, the session's mediator, said a newly adjusted Route 56 to Lamar will pass by Bellevue and add service on Sundays. 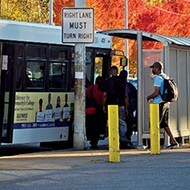 A lack of Sunday service, particularly along Route 19 Vollintine, leaves residents who are dependent on the transit system stuck in their neighborhoods, said MBRU co-chair Cynthia Bailey. "I've had a lot of riders in the community come to me that want to go to church or go visit family on Sundays," Bailey said. "It's almost like you can't get out. If you have business, there's the number 8 and route 52. But you've got elderly people who can't walk that far. I'm hearing about the new 45 Appling Farm route ... but it's not benefitting the community." The Memphis Bus Riders Union has also created a petition to bring back the 31 Crosstown route, which was cut in 2013. Members say it was instrumental in connecting two high-poverty neighborhoods, New Chicago and Riverside, with the rest of the city. "Those neighborhoods have seen a lot of decline," said Justin Davis, secretary of the MBRU. "There are eight new routes ... a lot of those are out East and in the southeast. Our concern is if we're taking all of this energy to put all of these routes in the east and southeast, are we putting the same effort into North and South Memphis? New Chicago, transit-wise, is almost entirely isolated. If you don't have a car, you pretty much can't leave." Lancaster said it took $3.5 million dollars to service the 31 Crosstown route before it was eliminated. "To bring it back as it was, we would need $3.5 million dollars of new funding," Lancaster said. "However, with the way things have been restructured, it would be a challenge. But we may be able to add some additional service to complement what used to exist." MATA will accept feedback on December's proposed adjustments until September 7th. 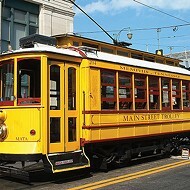 Additionally, the MBRU will host a demonstration calling on MATA to restore the 31 Crosstown Route on Saturday, Sept. 17th from 11 a.m. to 2 pm. at the New Chicago Community Development Corporation.